Crafted from a hard wearing ceramic material, Spectrum is available in an array of different designs and vibrant pearlescent colours, all in 9ct & 18ct Golds. 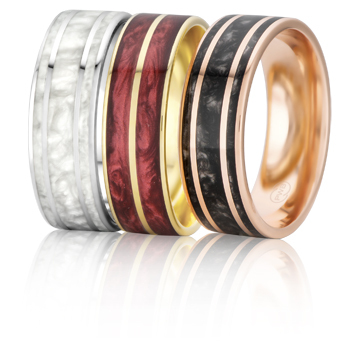 Choose from Black, Brown, Red, Gold, Pink, Silver or White Spectrum. Beautifully unique, it will suit any taste with its flexible design. 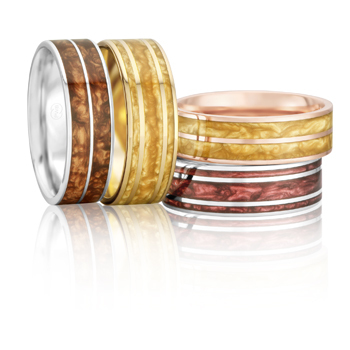 Visit your favourite Peter W Beck stockist to view this spectacular collection.